What version of their tie rods do you have, and what steering knuckles are you using? Note: If you are running a MANUAL RACK with Power Steering Knuckle....please ORDER/USE a Power Steering Outer Tie rods.! I must have got lucky. I have aw11 rack in my car, but is has a quaife qsr r&p (I think it's the same length as stock aw11). I used moog EV165 inner tie rods which are meant for a manual steering rack. I've used them with both manual and power steering knuckles without issue. However, when I had power steering knuckles they were actually T3 units (which are the same length as oem), and I also had T3 outer tie rods then. 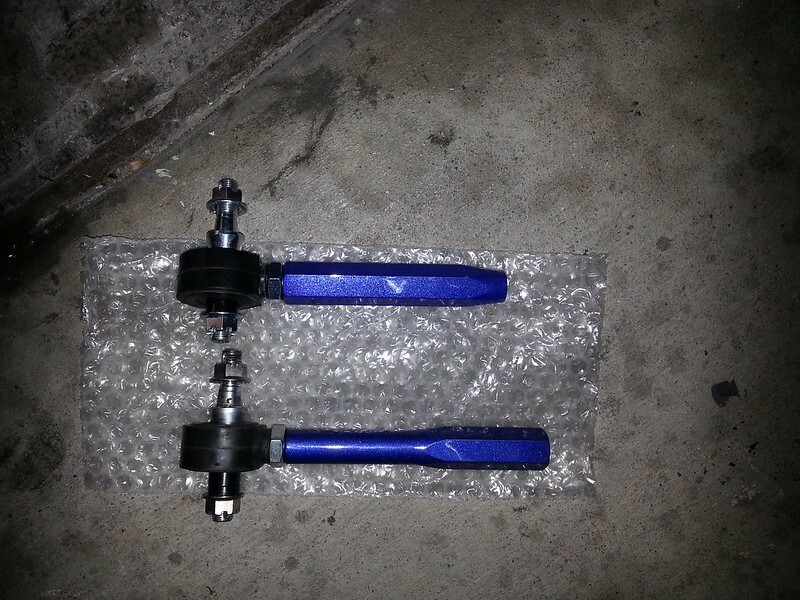 Now I have oem manual steering knuckles with AJPS outer tie rods. I had plenty of room for adjustment on the threads in both directions on both setups. Supposedly top is manual and bottom is power according to person who posted the pic. Oh. They make specific ones? Cool!